This is Robert Gray in the 1970s. 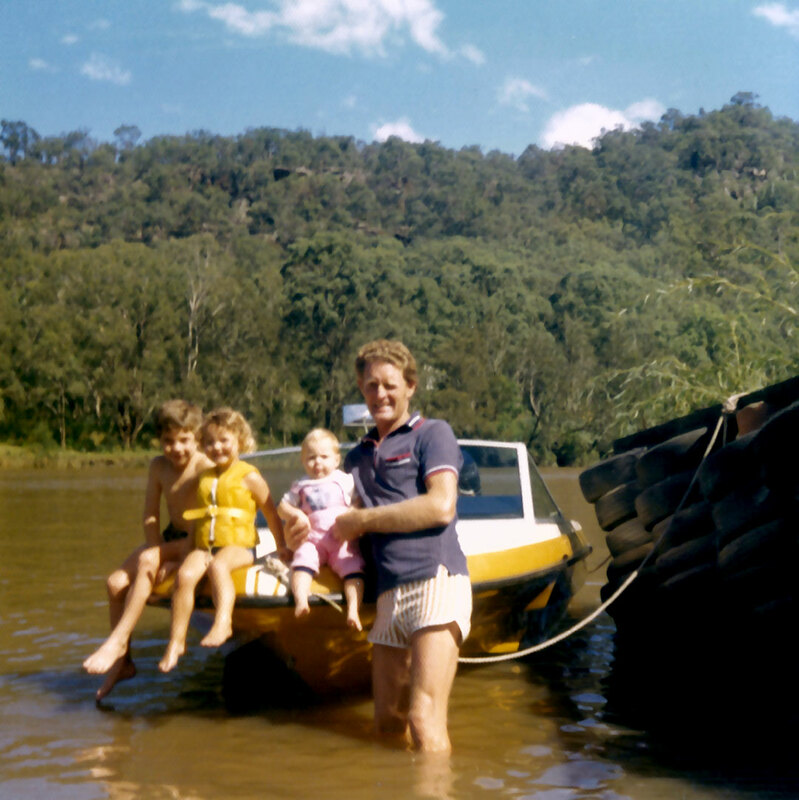 Robert Gray with two of his granddaughters and the next door neighbours child on his ski boat. Bob owned a block of land on the McDonald River which is a subsidiary of the Hawkesbury River at Wiseman’s Ferry NSW Australia.